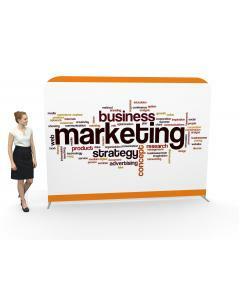 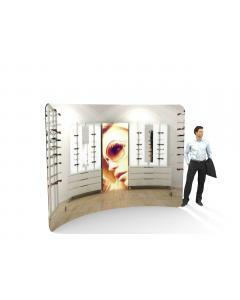 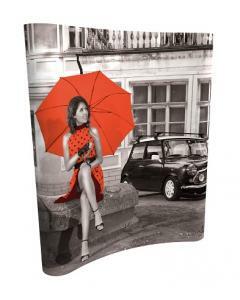 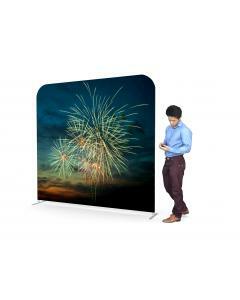 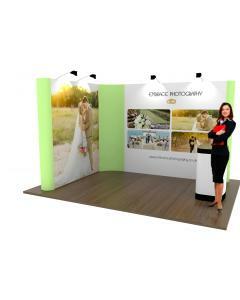 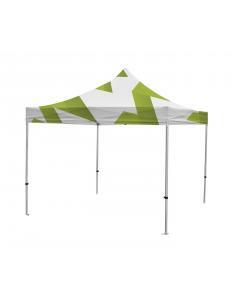 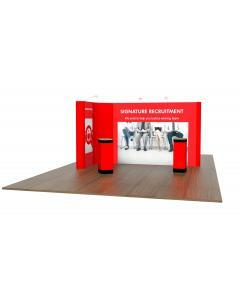 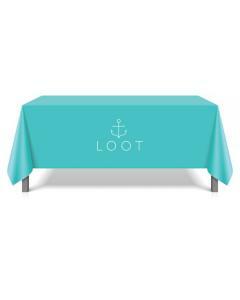 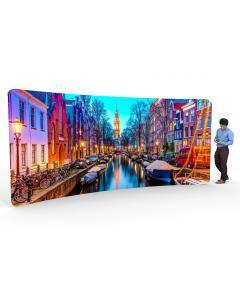 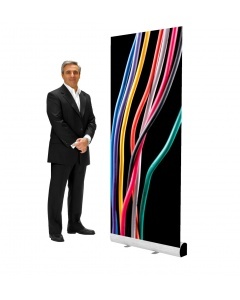 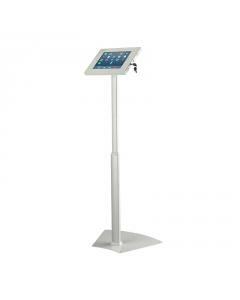 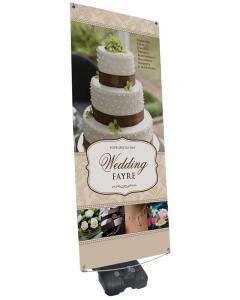 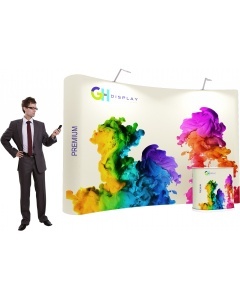 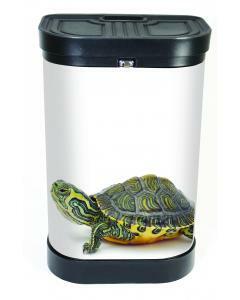 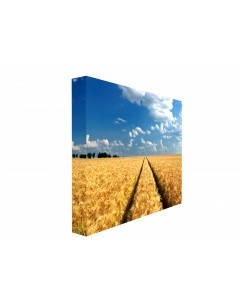 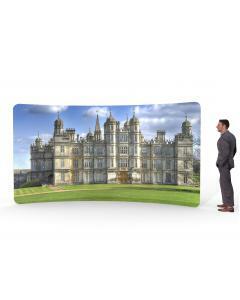 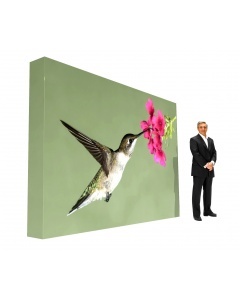 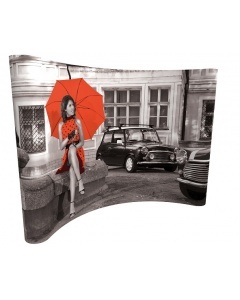 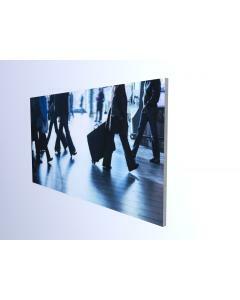 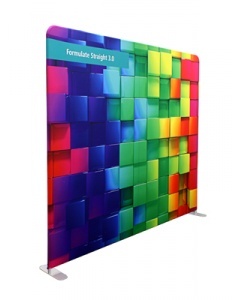 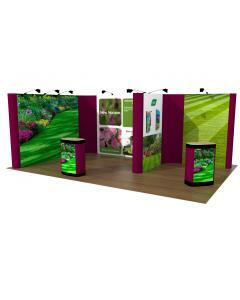 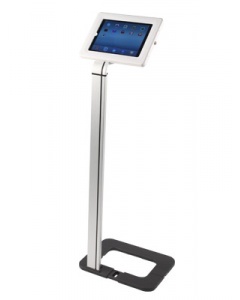 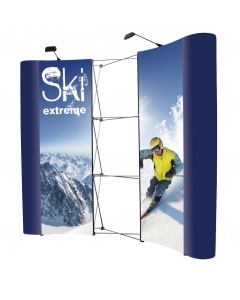 It is officially the best value fabric pop up display on the market! 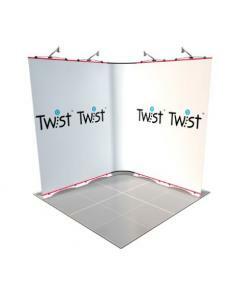 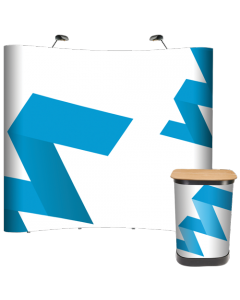 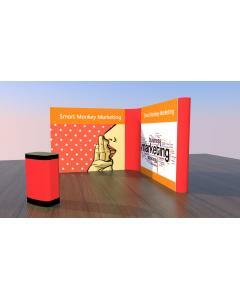 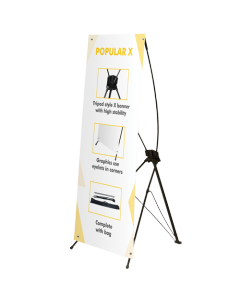 Now you can have the desirable, durable and seamless finish of a fabric exhibition stand for less than the cost a traditional vinyl media pop up display. 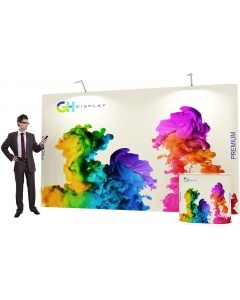 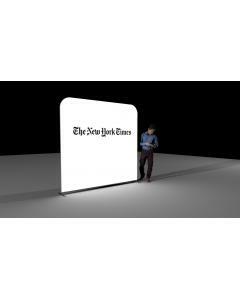 Sometimes called a Hop Up Display, the versatile system works great as an exhibition stand, high impact display or as a back wall. 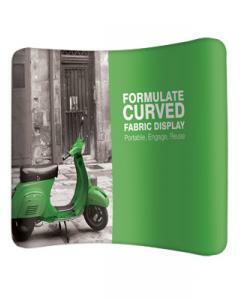 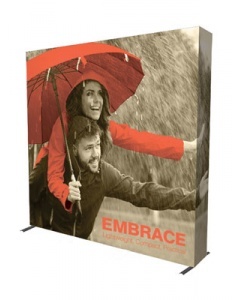 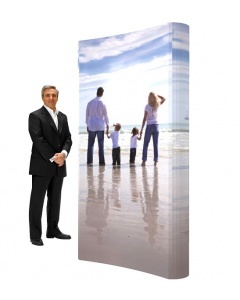 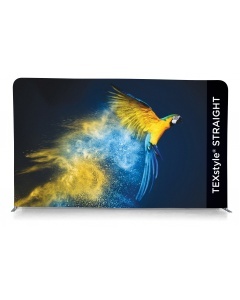 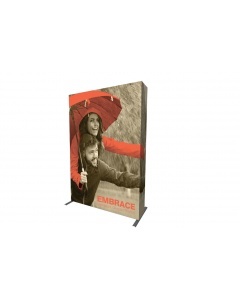 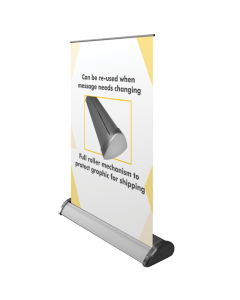 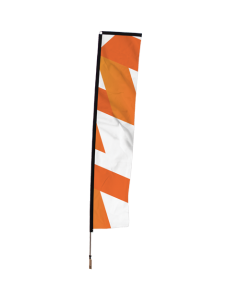 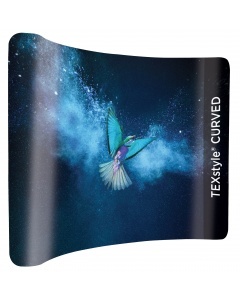 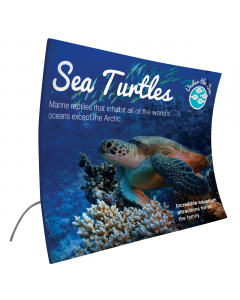 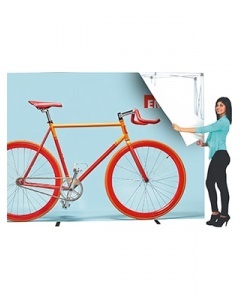 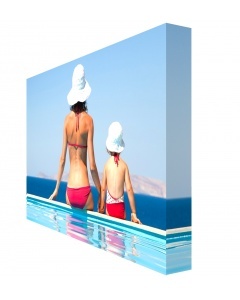 Once you own a Speedy Fabric Pop Up Display kit you can reuse the same framework, but refresh your display by simply changing the fabric graphic.When you purchase a replacement graphic this will come with the Velcro already attached, so simply install your replacement graphic on your existing frame. 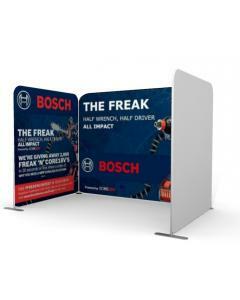 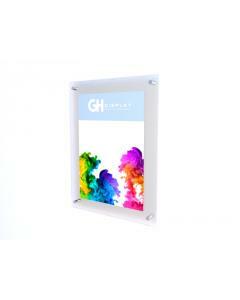 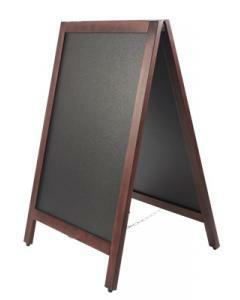 It works just like a regular pop up frame, you simple expand the frame and lock into place. 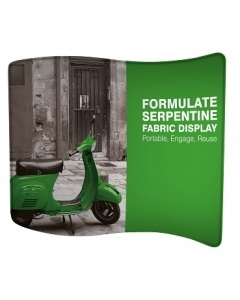 The fabric graphic is then stretched over the frame and fixed into place using Velcro.